When it comes to your outdoor living space, you want it all. Healthy trees, plants, and grass. A relaxing and stunning patio area to entertain family and friends. A beautiful property you can look out onto from the comfort of your home, deck, or patio. And of course, plenty of privacy. The Todd Group is skilled in helping homeowners achieve all of these things. And we know well that the most gorgeous property will be less enjoyable if you are bothered by a too-close or pesky neighbor, adjacent busy road, or some other eye sore you’d rather not see. We hear it from our clients all the time. 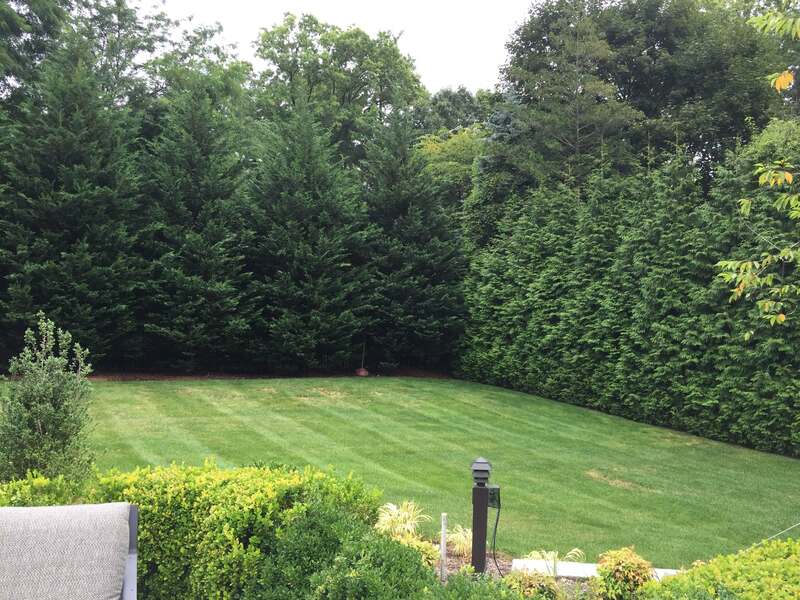 You might love your trees and yard, but your eye always scans for those “problem areas” like a bare spot in the fence line or that unsightly neighboring space in the distance. An Arborvitae is a great choice to create four-season privacy. These trees and shrubs are fairly hardy and certain varieties can grow quite tall (more on that below). When planted close together, you can form a dense wall of trees, which can be trimmed and shaped to your liking. There are different species of Arborvitae, but here on the Eastern seaboard, you’ll see a lot of American Arborvitae or Eastern Arborvitae (Thuja occidentalis). This variety is hardy and can withstand cold winters. It is great for hedges or “living” fences. There are all kinds of different shapes, including the dwarf “little gem” varieties that grow into compact spheres three feet tall and about six feet wide and the conical Pyramidalis Arborvitae, which can grow up to 60 feet tall and 15 feet wide. Vines are not a plant family, but a means of plant behavior. They’re great for creating screens on a fence, a trellis, arbor, or gazebo. The Todd Group can educate you on the types of vines that grow well in our area and those that will not harm your wooden and other structures. 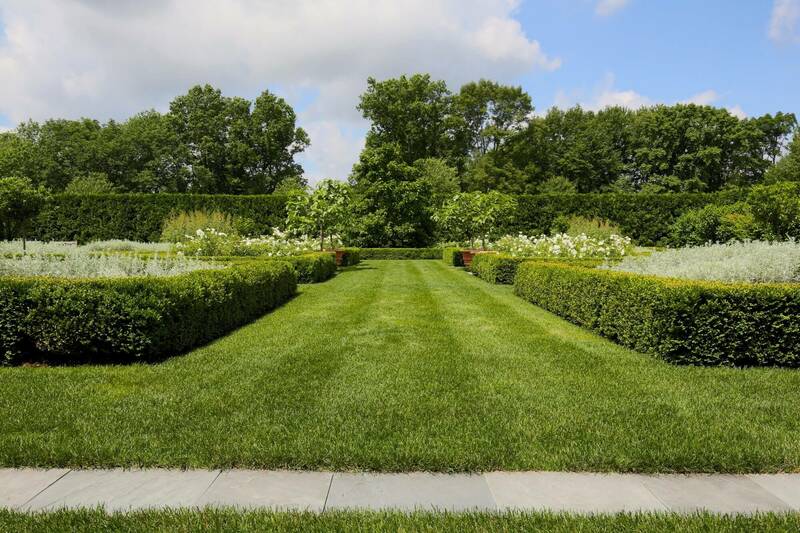 Whether you seek something fragrant and flowery or lush and green, there are many options that will add privacy and beauty to your landscape. Boxwoods (or Buxus) are offered in about 70 different species and come in many shapes and sizes. If you want a true hedge, boxwood is a good bet, as it can be pruned and shaped easily and looks great year-round. Best of all, if you live in an area that attracts wildlife, boxwoods are deer resistant. They are great for blocking a view and adding sophistication and elegance to your landscape. Of course, there are all kinds of other options to help create privacy in your landscape, from specimen trees to topiaries. Combine the right trees and privacy plantings with other features like awnings, gazebos, fencing, and stone walls, and you can create a backyard oasis that feels secluded and relaxing. 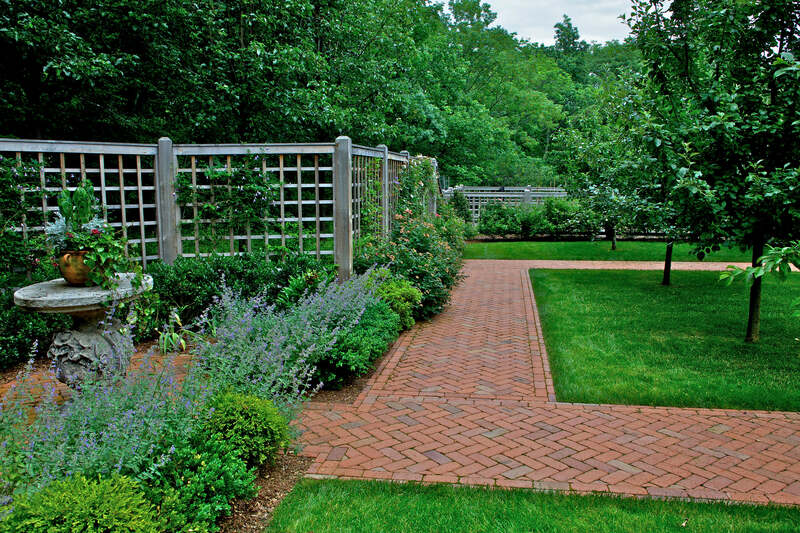 To learn more about privacy landscaping, contact The Todd Group. We would love to learn more about your vision for your dream outdoor space and discuss a plan to bring that vision to life. This entry was published on October 3, 2018 and posted in Landscape Design. Bookmark the permalink. « *IMPORTANT* Boxwood Blight Announcement!